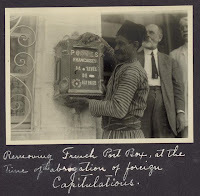 Picture a Day - The Holy Land Revealed: Another Mystery Picture: Who, What, Where and When? Another Mystery Picture: Who, What, Where and When? 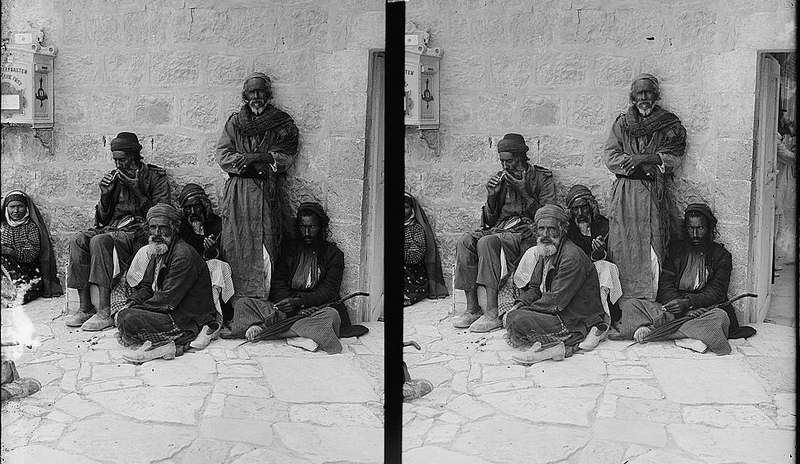 The Library of Congress' vast collection of the American Colony's photographs includes these stereographic pictures. The caption reads "Family," and the date of the photo is sometime between "1898 and 1946." That certainly doesn't provide much information. 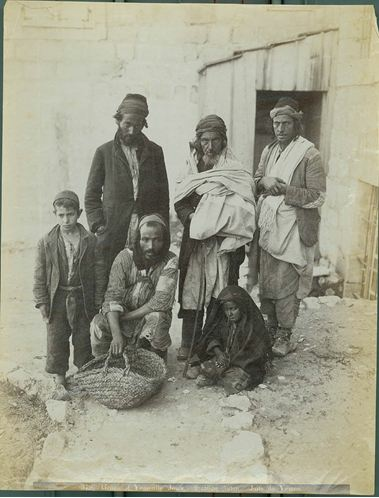 A similar picture published by the Palestine Exploration Fund identifies the group as Yemenite Jews -- taken by the American Colony photographers, but apparently not included in the Library of Congress collection. According to the PEF, the picture appeared in a 1911 catalogue. 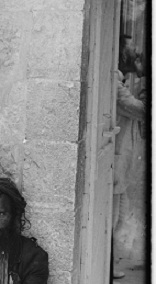 The left picture shows an object on the wall behind the "family" -- after enlarging the picture it's clearly a German postal box. 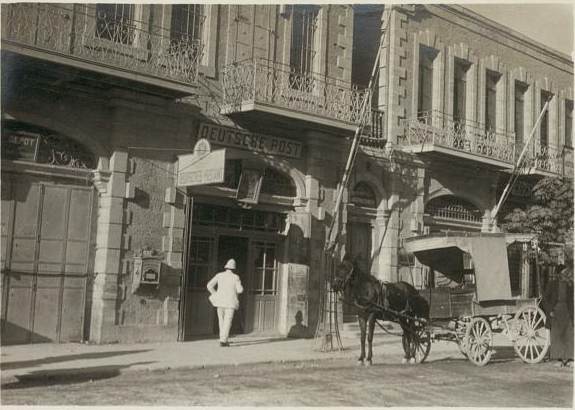 But why would the Yemenite Jews be standing near a German post office? In fact, several European countries maintained post offices in Palestine under the "capitulations" agreements between the Ottoman Empire and European countries. Formulated to guarantee the welfare of Christian pilgrims to the Holy Land, the capitulations, some dating back to the 16th century, established privileges for European subjects in Palestine. 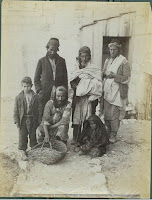 Many members of Palestine's Jewish community were granted protection by European leaders such as Austrian Emperor Franz Josef or German Kaiser Wilhelm II. 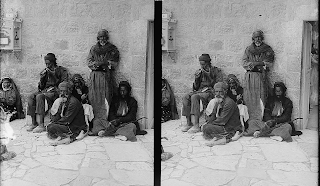 ﻿The right photo of the stereo picture shows a European inside the door next to the Yemenite Jews.